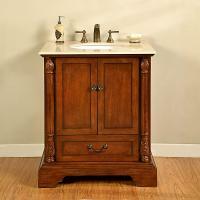 This lovely brown cherry cabinet features a spacious under sink storage area for towels or personal items. You customize it by selection from several granite counter top options or can choose to purchase with piece without a top. 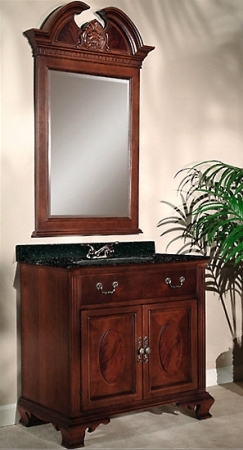 Comes with an under mount sink, fixtures not included.